Why a Portable Sound System? Flexibility. A PA system that is permanent is a pain to uninstall and reinstall. You don't need to be searching for an electrical outlet. Long Battery Life. 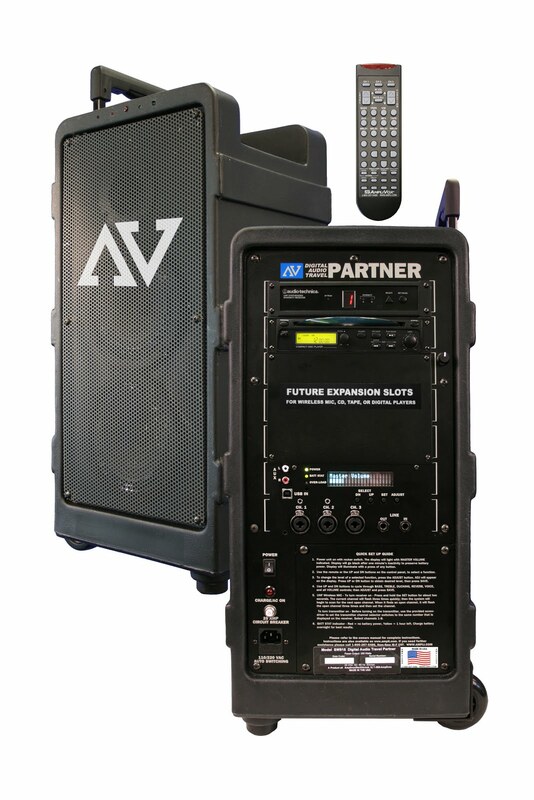 The Voice Projector PA System's battery life is an incredible 200 hours. That is no typo we really mean up to 200 hours of battery life with 10 D-Cell batteries. The Digital Audio Travel Partner is called a travel partner because this 250 watt system is portable. You can also connect anything you want to project sound like a computer, iPod, or instrument like a guitar. 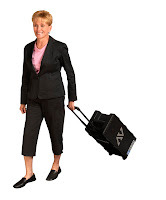 The Wireless Audio Portable Buddy is a 50 watt system great for presenters on the go. It runs up to 200 hours on a single set of 10-D Cell batteries! -Get this Lady An Adjustable Height Lectern!